Maria Cărăuş, the former Deputy Minister of Finance, was officially charged. The corruption file against her was sent to the judgement. The former dignitary is accused, along with three businessmen, of rigging an auction for the repairs of a block of Republican Hospital. In July, the Government allocated 15 million lei from the reserve fund for the renovation of the edifice. According to prosecutors, Cărăuş told the heads of this institution that the transfer of money depended exclusively on her decision, so she asked for a reward. She also promised she could arrange for an additional amount to be allocated to the same hospital. 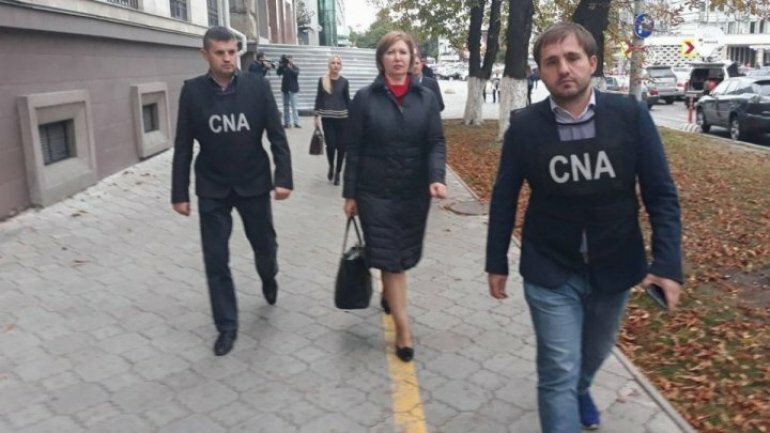 Moreover, Maria Cărăuş asked the healthcare representative to favor certain economic agents at the auction scheduled on October 11, in return for a five per cent reward of the amount allocated, and another five percent would be to the former boss from Finance. Maria Cărăuş was detained in early October. The defendant is under preventive arrest. Former Deputy Minister of Finance risks up to 15 years of imprisonment and a fine of half of million lei.